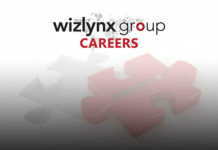 This describes the job of Cyber Security Senior Sales Executive for Wizlynx Malaysia. wizlynx group is a leading provider of global IT service and products, serving a broad spectrum of international and local clients. With origin dated back to 1992 and headquartered in Switzerland, wizlynx group is proud to deliver Swiss quality at local prices. Our APAC headquarters located in Singapore was launched in 2009 and caters to the growing demand of existing Fortune Top 100 customers base in Asia. We seek a candidate who thrives on new challenges, with a “can do” attitude and respects a global business environment. This describes the job of Indoor Cyber Security – IT Sales Admin for Wizlynx Malaysia. The position contributes to the success of wizlynx group by providing back office operational support to company sales team and IT Account Management for support team.